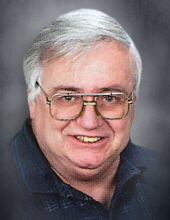 Richard Chester “Rick” Boehler, 72, De Pere, departed this life on Tuesday, February 5, 2019. The son of Richard L. and Norma (Rodgers) Boehler was born on September 23, 1946. Rick served in the United States National Guard for nearly two decades, and told many stories about his time at Fort McCoy. On August 14, 1971 he married Kathleen “Kathy” Kehl. They raised four children together. She preceded him in death on April 16, 2018. Rick was an over-the-road trucker for many years. He enjoyed nothing more than spending time with his granddaughters. He is survived by his four children, Richard S. “Shawn,” Bryan, Eric and Shayna Boehler, and his granddaughters Jade, Melyssa, Arabella and Gabriella. Rick is further survived by his brother, Robert Boehler, his siblings-in-law and other members of the extended family. Family and friends may visit at St. Mark Lutheran Church, 2066 Lawrence Drive, De Pere, beginning at 4:00 p.m. on Friday, February 15, 2019. A Memorial Service will begin at 6:00 p.m. with Pastor Chris Johnson officiating. Full Military Honors will follow. In lieu of flowers, a memorial fund will be established in Richard’s name. To send flowers or a remembrance gift to the family of Richard Boehler, please visit our Tribute Store. "Email Address" would like to share the life celebration of Richard Boehler. Click on the "link" to go to share a favorite memory or leave a condolence message for the family.